Feast your eyes on CNBC’s new Tuesday primetime lineup. With Shark Tank alongside Restaurant Startup -- a brand new restaurant version of the sales pitch showdown -- we're pretty pumped for the second night of the week. 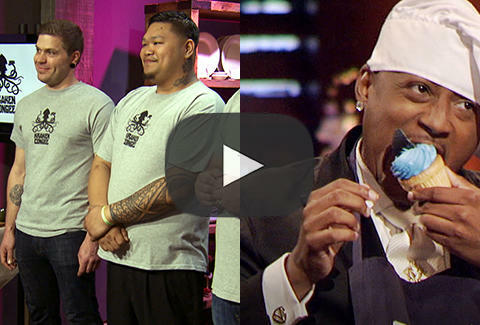 Each episode, culinary entrepreneurs come in to pitch their eatery ideas Shark Tank-style to industry vets Tim Love and Joe Bastianich for the chance at the capital they need to make their dreams of opening their own joint a reality. Tune in at 8&9 pm ET for Shark Tank, and keep it right there to sample all the resto intensity with Restaurant Startup at 10.